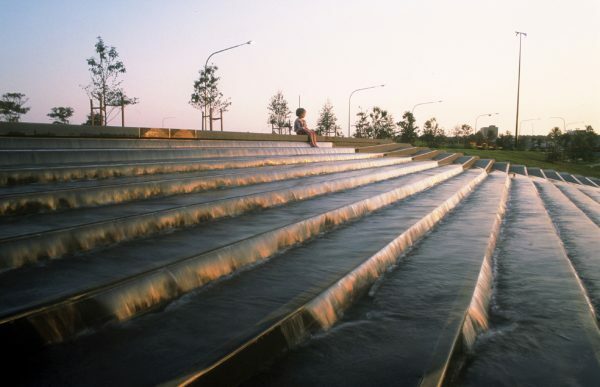 This bulbous sandstone water feature is made from a piece of sandstone originally quarried on the Pyrmont Peninsula and previously used as the base of a column on the Pyrmont Bridge. 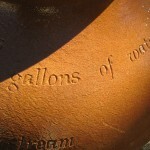 It features a square basin carved into the upper part with text engraved on the lower bulbous area. 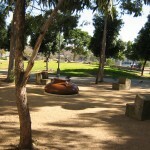 Surrounding the basin in the grass and gravel are three ‘L’ shaped pieces of stone acting as seats around the perimeter of the sculpture. 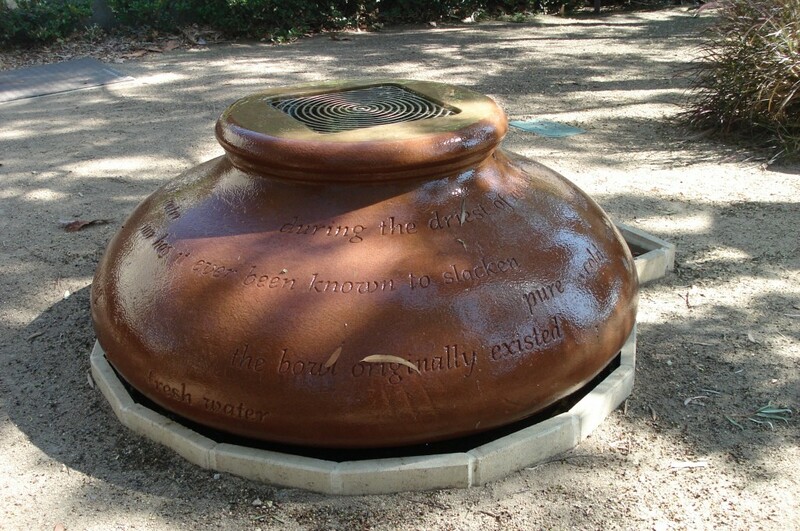 Water fills the basin from a pipe concealed in the centre of the sandstone and slowly swells over the circular rim, covering the lettering and dripping into the gravel below. 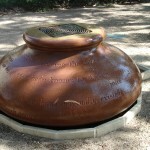 The water drains through the gravel and is collected in a water reservoir below ground to be pumped into the sculpture again. 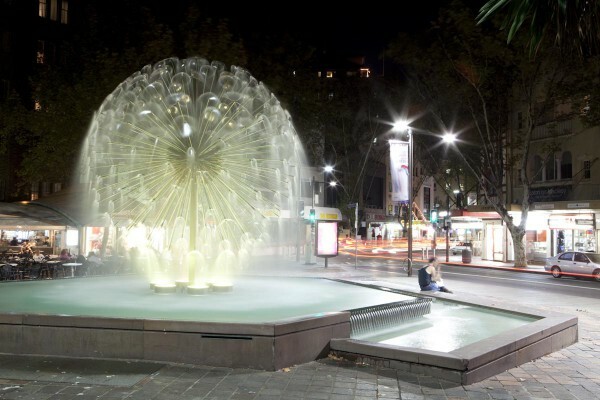 The fountain is located in Fig Lane Park on Fig Street in Ultimo. 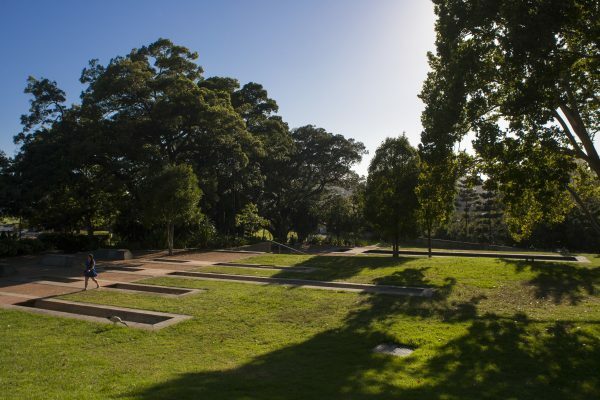 The sculpture draws inspiration from a natural spring that once existed on the Pyrmont Peninsula, known by the local settled community as Tinkers Well. 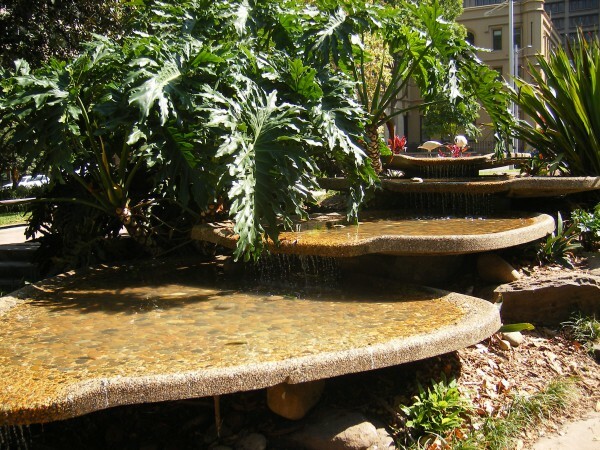 The spring was significant in the area for its high quality of water and its ceaseless trickle in times of drought. 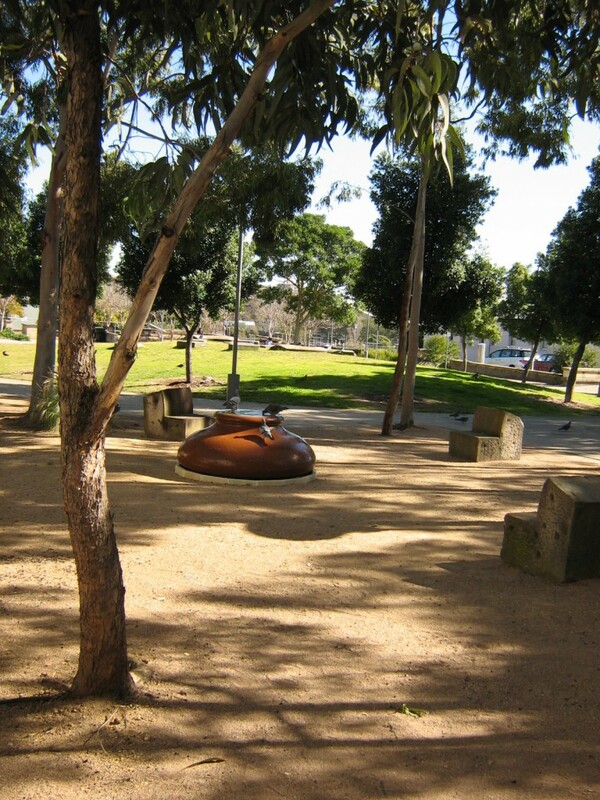 The local Aboriginal group, the Gadigal people, had carved a roughly square-shaped basin in the stone to collect the water. This basin was later enlarged by quarrymen working locally. 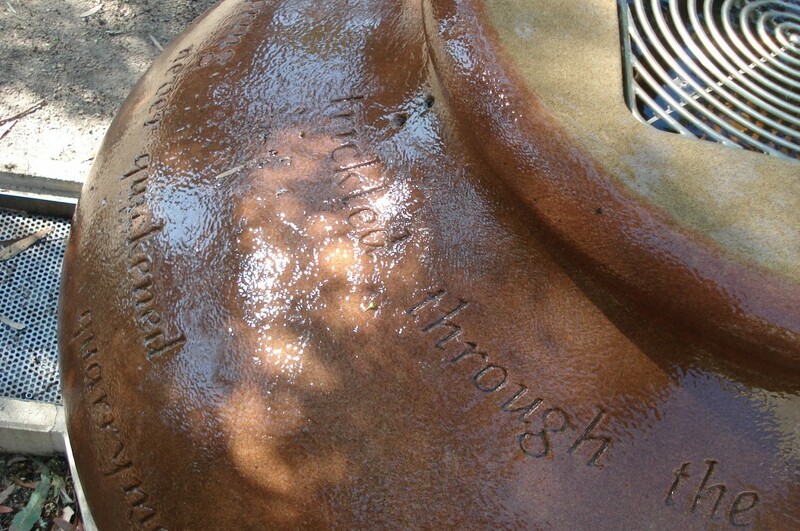 The square-shaped basin in the Swellstone sculpture refers to this feature of the original spring. 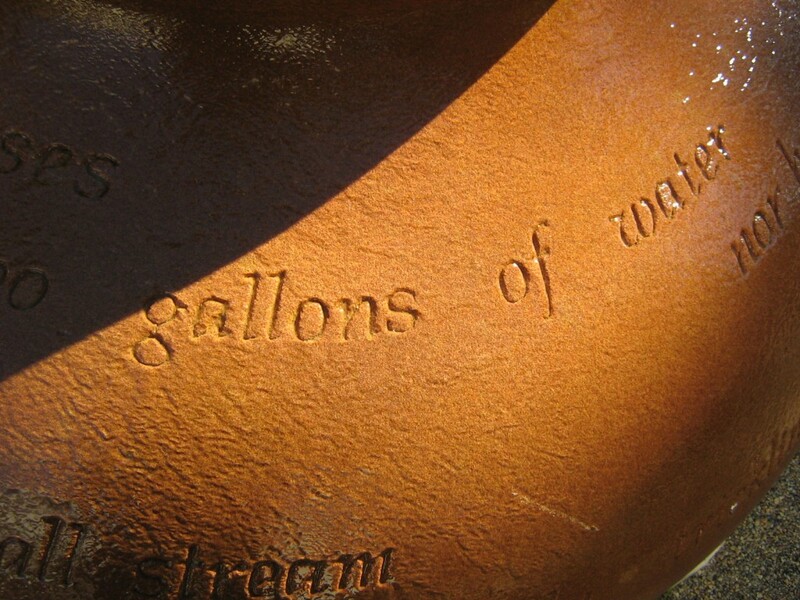 Text engraved over the surface of the sculpture is derived from articles in local gazettes from early this century, which describe the spring. Broken into single words and short phrases, the inscriptions become a never-ending poem, echoed by the constant ripples of water passing over them. 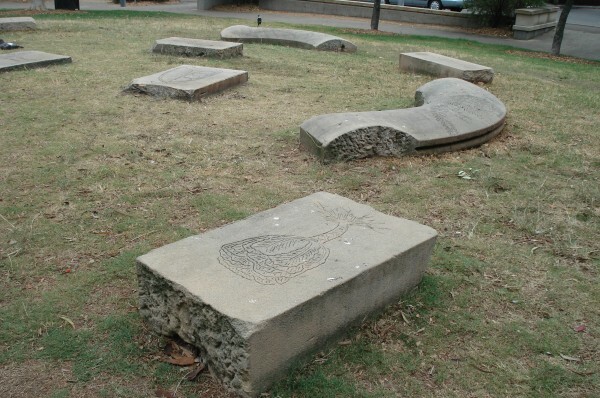 The sculpture’s title is a play on repeating ‘Tinkers well’ over and over until the word ‘swell’ appears. As the piece of sandstone looks swollen in shape, and the water swells over the rim, ‘Swellstone’ seems appropriate. 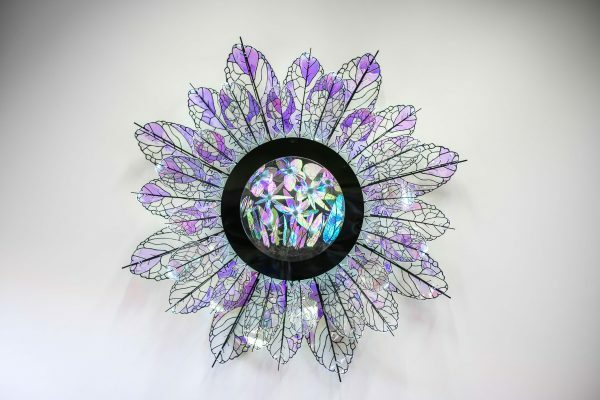 Lucy Bleach was born in Sydney in 1968. She studied a Bachelor of Visual Art, at the College of Fine Arts, University of NSW in 1990. 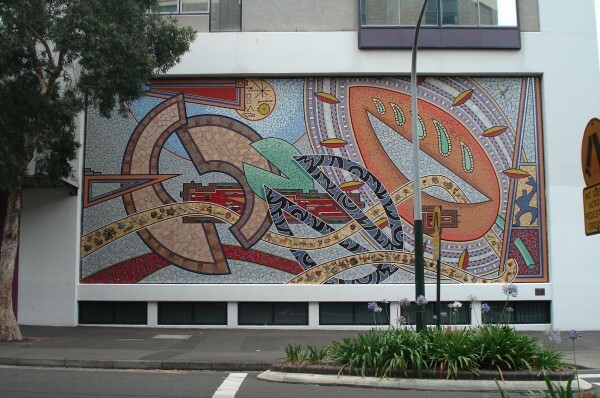 In 1991, she was awarded a sculpture commission from the Wollahra Council for Saber St Park and in 1993, she was given a professional development grant by the Australia Council for The Least Visible Sign of Land in Hobart. She currently lives and works in Tasmania. 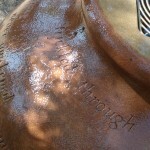 The engravings on the lower part of the fountain are expected to erode as a result of water constantly running over them. However, the effect is not considered to be detrimental. Rather, the erosion over time is thought to give the artwork a life beyond its original purpose. As the letters become harder to read, older members of the community can help newer members translate, ensuring the words continue to be spoken.